An avid Green Bay Packers fan based in Dallas, Texas, David T. Ball is a supporter of the city's Crawl for Cancer event, which was created in 2007 as a means to raise money for cancer research and support services. David T. Ball has volunteered for the annual pub crawl in each of the past five years and, in one year, gathered a group of volunteers at the last minute after others didn't show up. Despite living in Dallas, he spends most of the year outside of the city due to his job. In 2016 alone, David T. Ball accrued over 120 segments with American Airlines as an Executive Platinum rewards member and spent over 200 nights in hotels around the world. Even though he travels for work, he tries to travel somewhere for pleasure at least once a month. He recently visited Abu Dhabi and four major cities in India. 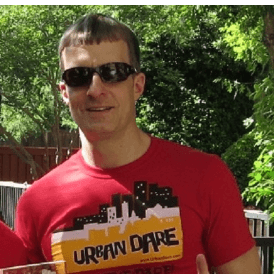 In 2013, Mr. Ball participated in Dallas' Urban Dare competition, which is a local version of The Amazing Race. He partnered with his cousin and finished in seventh place, but the following year, he and his roommate James Hansen finished first out of 102 other teams. He holds a Bachelor of Business Administration from Southern Methodist University.